Full biographies of laureates and finalists are available here. Full biographies of Master Jury members are available here. 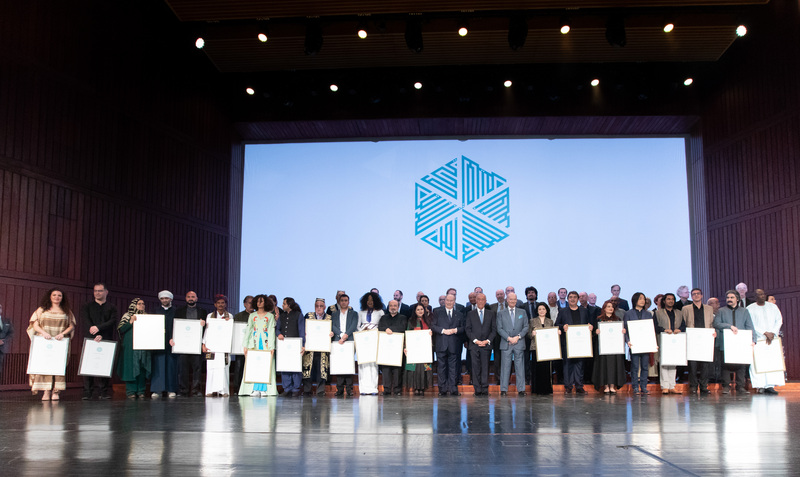 To ensure impartiality in the Award nomination and selection process, individuals and projects affiliated with His Highness the Aga Khan, the agencies of the Aga Khan Development Network (AKDN), as well as members of the Awards Steering Committee, Secretariat, and Master Jury, were deemed ineligible for consideration. The Initiative promotes the revitalisation of cultural heritage both as a source of livelihood for musicians and as a means to strengthen pluralism in nations where it is challenged by social, political, and economic constraints. Its projects have included publication of a comprehensive textbook, The Music of Central Asia (Indiana University Press, 2016), a 10-volume CD-DVD anthology, Music of Central Asia, co-produced with Smithsonian Folkways Recordings, a worldwide performance and outreach program that nurtures “East-East” as well as “East-West” musical collaborations, and a network of music schools and centres that develop innovative music curricula and curriculum materials in the Music Initiative’s regions of activity. (https://www.akdn.org/akmi).